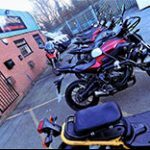 Shires Motorcycle Training are the best motorcycle training school in the Midlands. We have 10 DVSA Approved Instructors and are the only company to offer the all round training experience which continues even after you have passed your final module 2 test. We offer a full range of courses for every level of ability. "Would like to say a huge thank you to Jim for getting an extremely nerve racking first time rider to pass my CBT. Absolutely brilliant training day"
"Passed my DAS nearly a year ago with shires and passed first time on mod 1 and mod 2. I loved every minute of it. The bikes are brilliant along with all the staff. Highly recommend. " "Just want to thank Jim so very much for getting a very nervous customer through her CBT. You were kind, patient, understanding and very funny. " " Renewed my CBT with Jim, great mix of serious instruction and light hearted banter. " "Shires Motorcycle Training in my opinion is the best you will get in and around Derbyshire! " 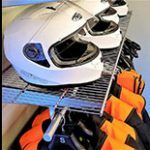 "Must say absolutely fantastic school make you feel welcome and at ease"
if it's your first time on a bike or your looking to do your test these are the guys to speak to.They work around you not you work around them "